It’s time to get our Christmas on! It’s the most wonderful time of the year, especially for us here at Festive Lights – we finally get to go all out on the Christmas lights and decorations. 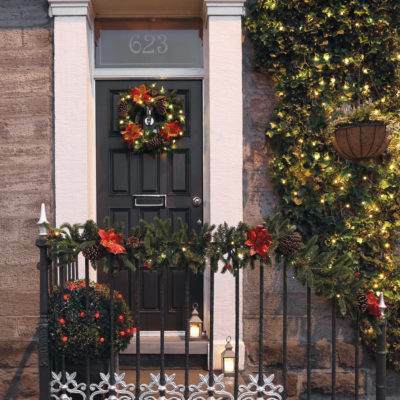 Getting your house looking as festive as you feel is a hard job though. Fortunately, there are plenty of guides and tutorials out there, from us as well as from others, that will give you a helping hand getting your Christmas decorating on. We’ve gathered these together into a huge Christmas DIY Decorating Bible – have fun! What are the right lights for your Christmas tree? How many lights do you need for your Christmas tree? 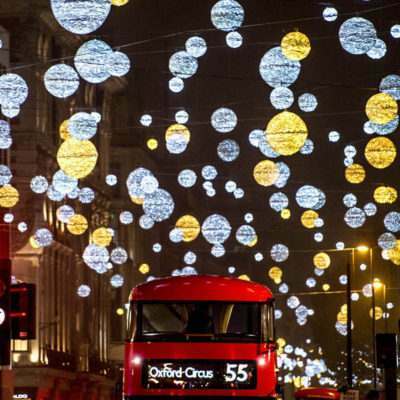 How much does it cost to run your Christmas lights? If you’re short on time but want to make sure you’ve got still got that festive touch around your home, these are our favourite tutorials how to create some quick and easy traditional Christmas décor. What’s Christmas without a few baubles on your tree? If you’re short on them Weekend Wanderlust has a tutorial on making felt baubles, Tahnee makes them out of candy canes and Captain Bobcat Blog uses a traditional German honey and ginger cookie recipe, Lebkuchen, to create tree decorations. Soda or salt dough is always a winner for making Christmas decorations – this recipe by Growing Family will guide you through the simple process. The star is the centrepiece for your tree, so making your own will have a special meaning that you’ll be reminded of for years to come as you unpack the decorations each festive season. Follow this tutorial at Rambling Through Parenthood for your own. Aside from the tree, your Christmas table wants to be the focus of your décor for the big day. Concentrate your efforts here by following Fresh Design Blog’s guide to styling the table, and create your own centrepiece with an easy mason jar snow globe as recommended by The Inspired Room. If you’ve gathered a bit of a collection of Christmas décor over the years and want something new, it’s time to get crafty or a little bit modern. Your decorations won’t just be the traditional type – they’ll stand out from the crowd! Our own top tip is to create your own DIY Light Up letters – spell out your favourite festive word. Pom poms aren’t just a thing of the past – they’re showing a huge rise in popularity round the festive season. Spruce up your tree with a sparkly pom pom bauble thanks to From Evija with Love or create a compromise on the light up letters above with pom pom letters designed by Cassie Fairy. If you’re not a fan of the traditional Christmas tree, no fear – we have options for you! Try out this crafty post-it note tree courtesy of Rock and Roll Pussycat, get an alternative wooden Christmas tree and decorate it in one of these ways, or even try a mini Christmas tree using only card and wool from Makes, Bakes and Décor. If you’re happy to get your needle and thread out and spend a bit more time on your Christmas décor, these two tutorials are what you need: for a traditional take, sew up some Gingerbread Man bunting with Adventures of a Nice Girl; for a more modern twist, try some faux leather stars for your Christmas tree from Anna International. The best way to celebrate Christmas as a family? Get the kids involved with the decorating! Not only does it take the hard work off you, it’ll get them out of your hair and they’ll be learning something new. Get them stuck in with both hand and foot decorations. We love these “Mistletoes” at Fun as a Gran and Santa Hands at Messy Little Monster made with salt dough. Another simple salt dough that the kids can get decorating is these scented gingerbread men at The Unnatural Mother. If your kids are a bit older, give them some more fiddly crafts to complete for the tree such as these Teenage Mutant Ninja Turtle baubles from Rachel Jess or take a festive walk to collect pine cones then decorate them a la Growing Family. 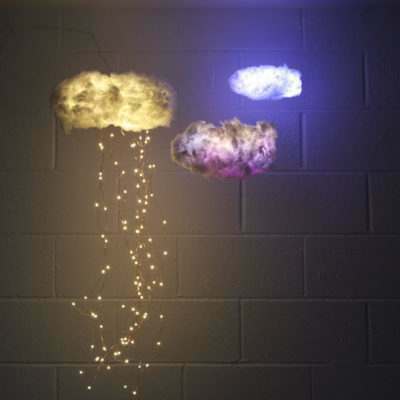 Use our Thunder Cloud video craft to create a Snowstorm with a few extra bits of cotton wool. Create a giant snowman for your garden even when the snow isn’t falling out of leftover pallets. Put your fairy lights to a different use by creating a Christmas scene on a canvas with a roaring log fire or twinkling stars. 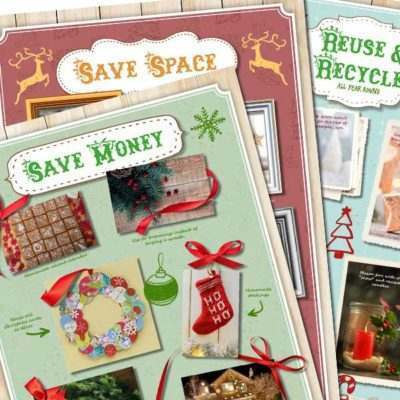 Do you have any Christmas DIY Décor tips we’re missing here? Let us know!